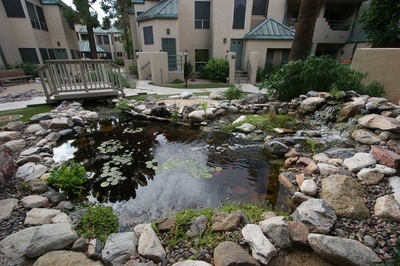 "This pond is really so great for us! It looks so pretty and meets so many of our needs to meet green building standards." 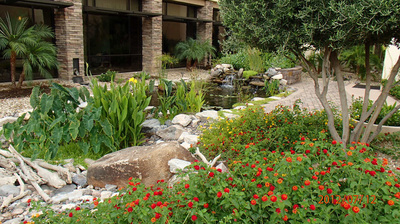 Set your company apart from your competition with a striking setting. 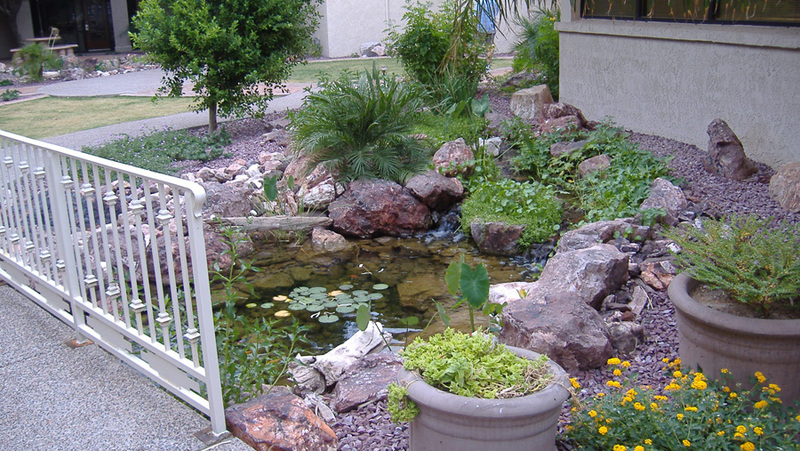 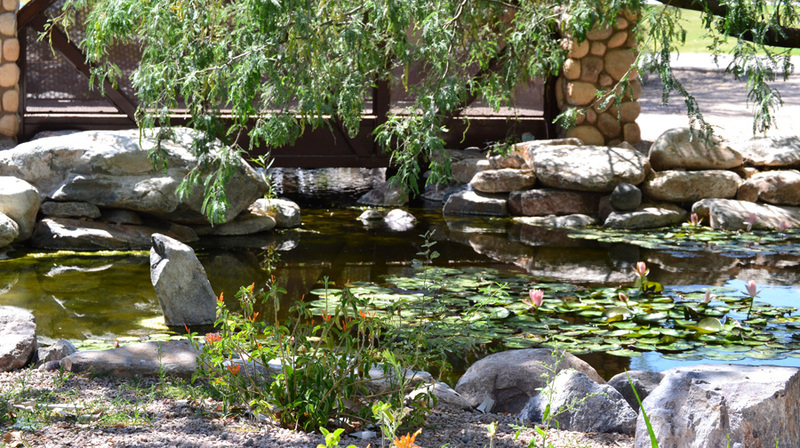 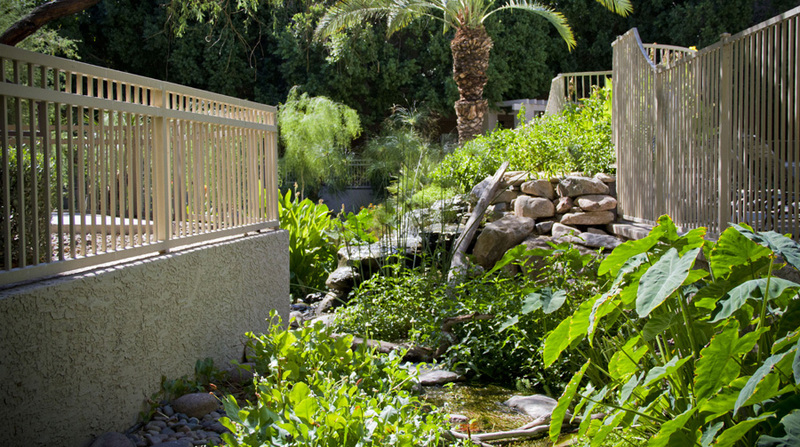 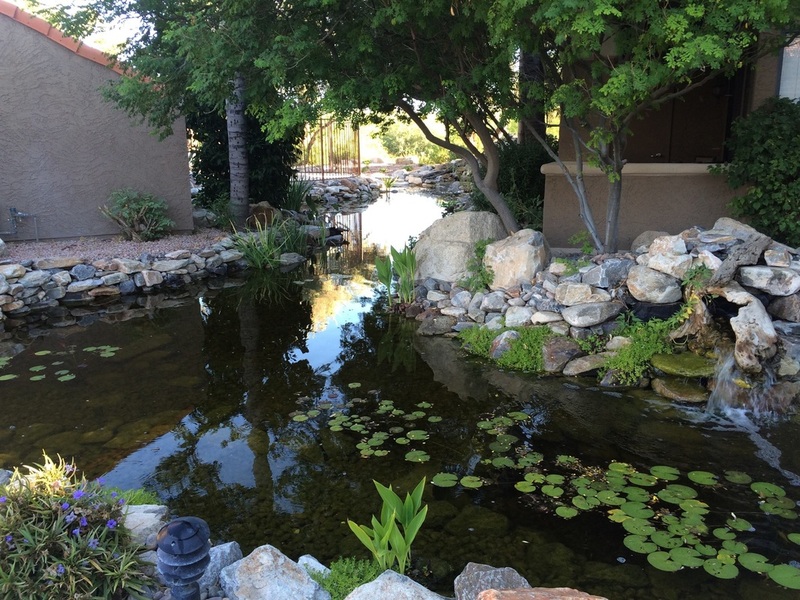 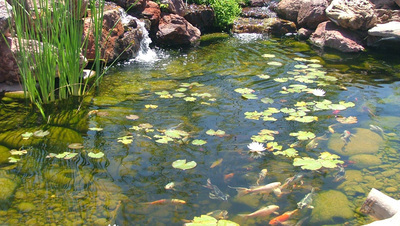 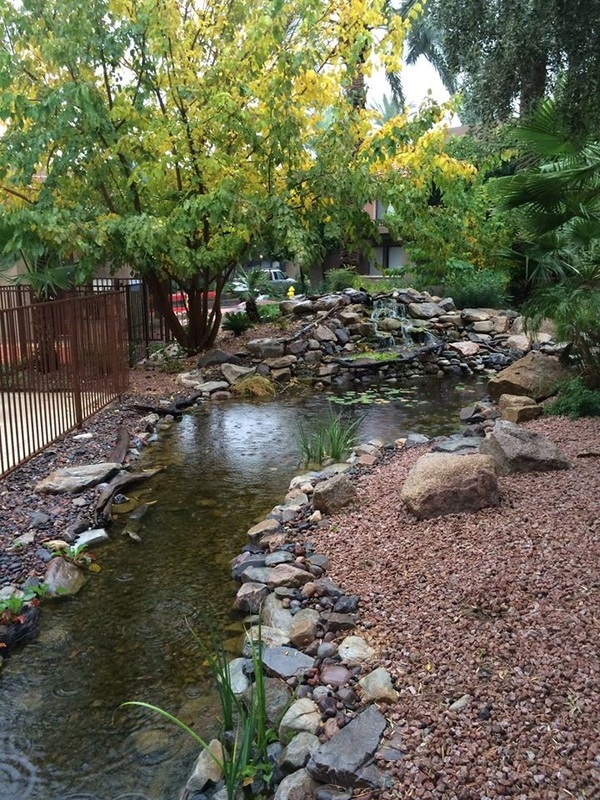 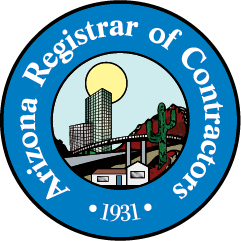 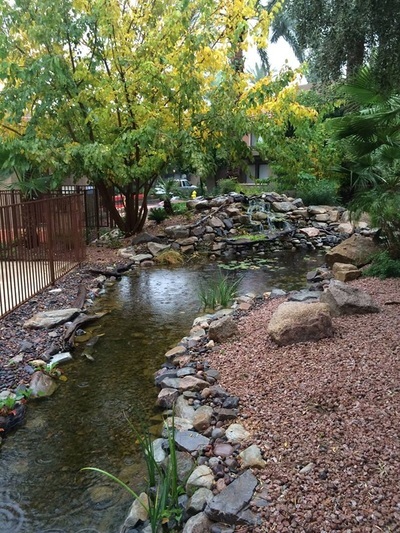 Apartment complexes, such as The Regents at Scottsdale, have found that not only does their vacancy rate drop dramatically, but they can charge a premium for any units with a view of the living water features – and have a waiting list, to boot! 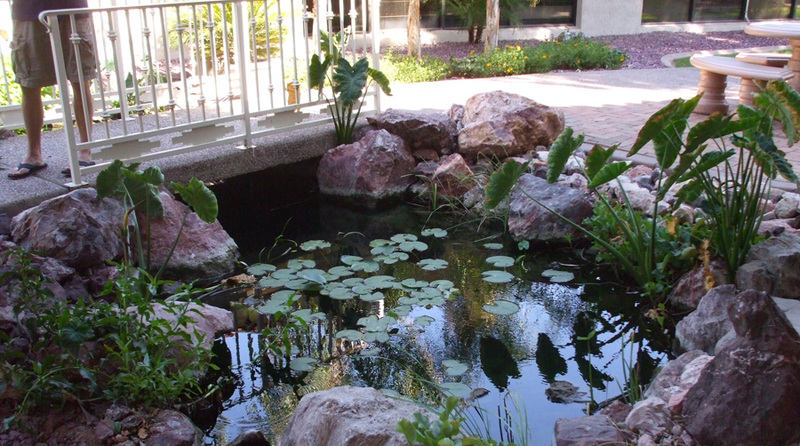 If you're a retail establishment, a gorgeous water feature will actually bring people in the door! Provide a soothing, relaxing, rejuvenating space for your employees on break or having lunch. 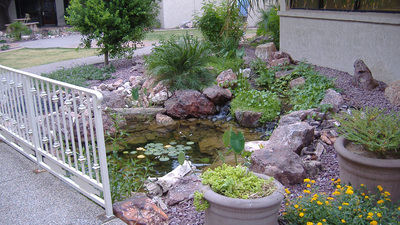 They’ll come back to work ready to grab the tiger by the tail! 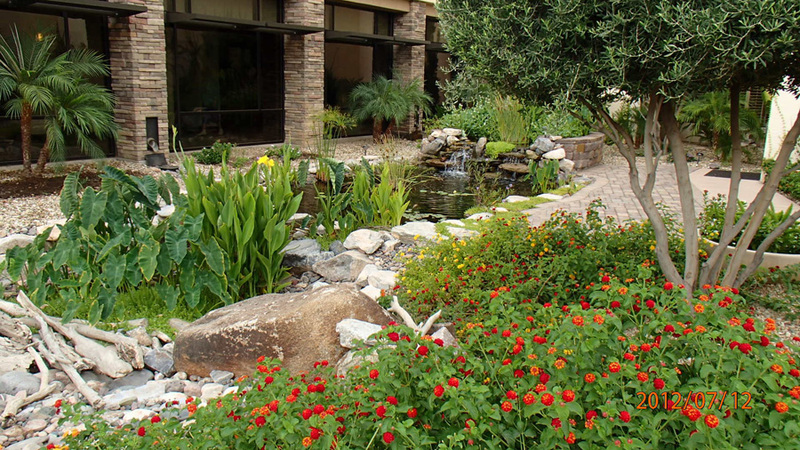 Create an interesting place for your clients when they visit, where any wait time is actually welcome. 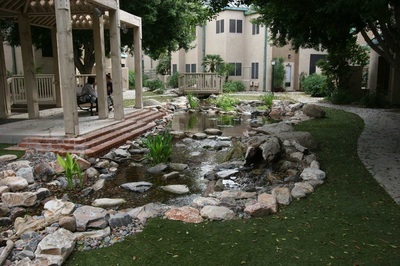 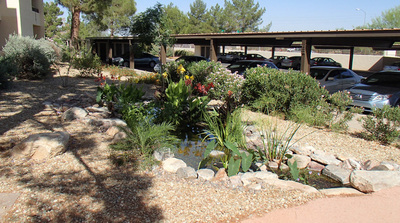 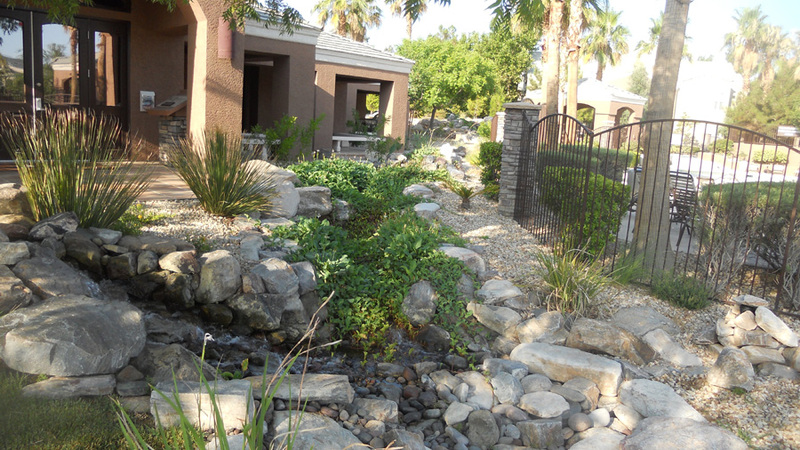 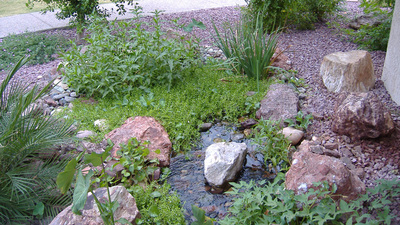 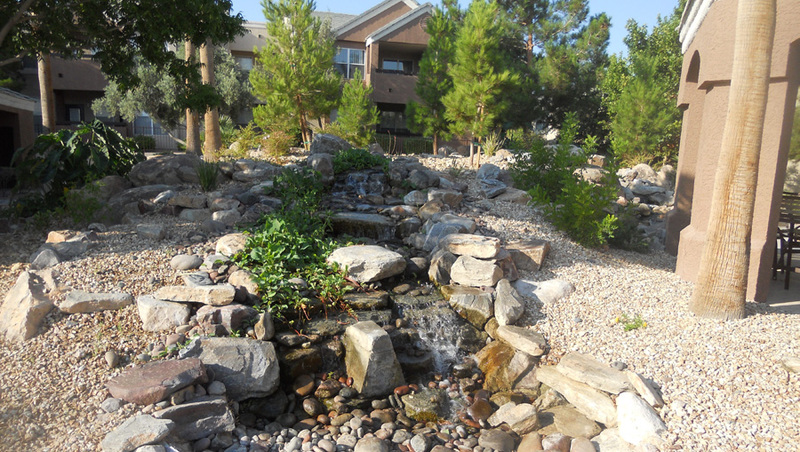 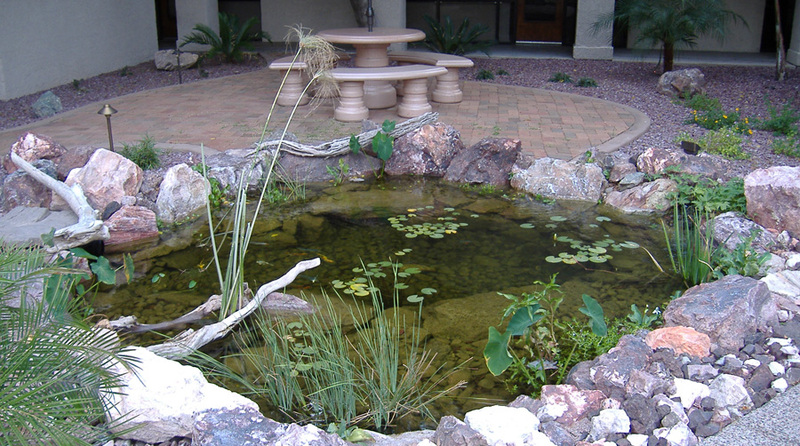 Visiting and prospective clients are calmed and entertained by living water features, such as the living water feature at the entry of Westminster Retirement Village, making the experience of dealing with you all the more a pleasure. 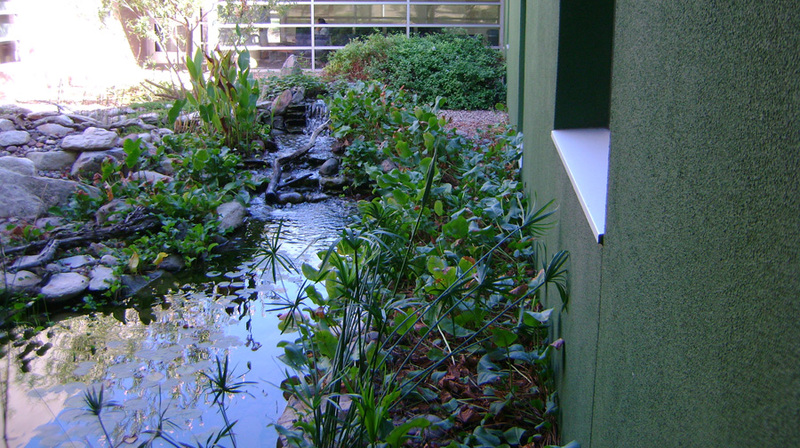 Add easy LEED points to any green building project! 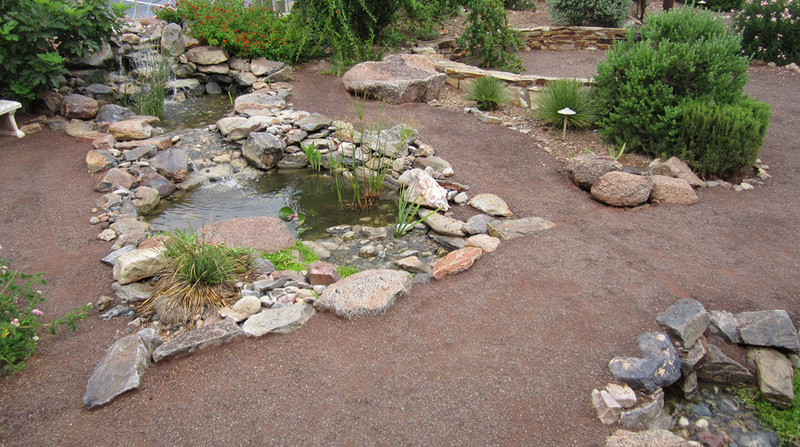 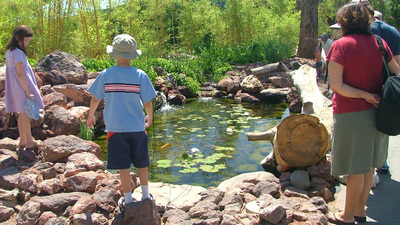 ​Create a playground of the future with an interactive shallow stream for water play. 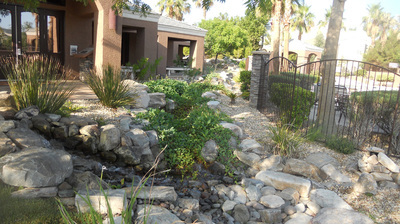 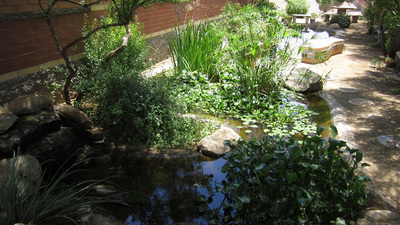 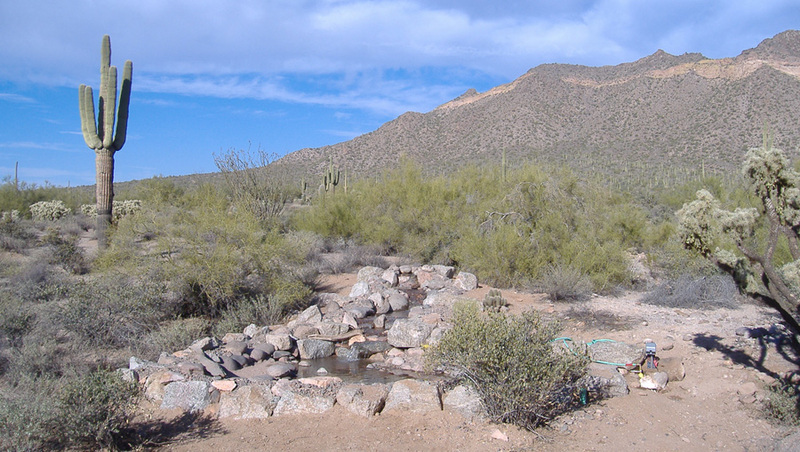 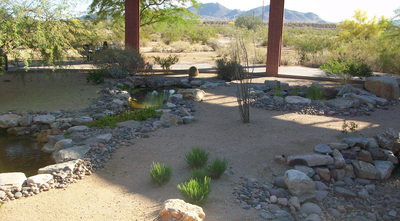 And all that atmosphere can actually be low maintenance with an attractive desert-appropriate living water feature! 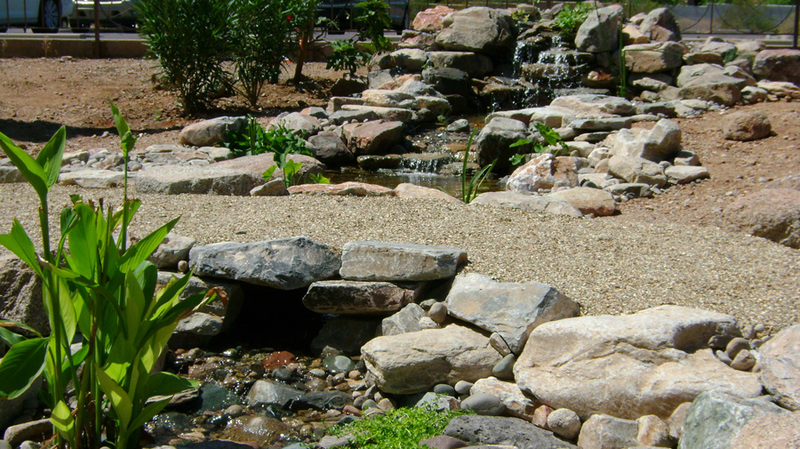 ​Ed Beaulieu talks about the story, design, inspiration, and challenges behind the highly-unique and expansive Aquascape water feature located at La Primavera Urbana in Villavicencio, Colombia. Center for Sustainable Landscapes, one of the greenest buildings in the world! 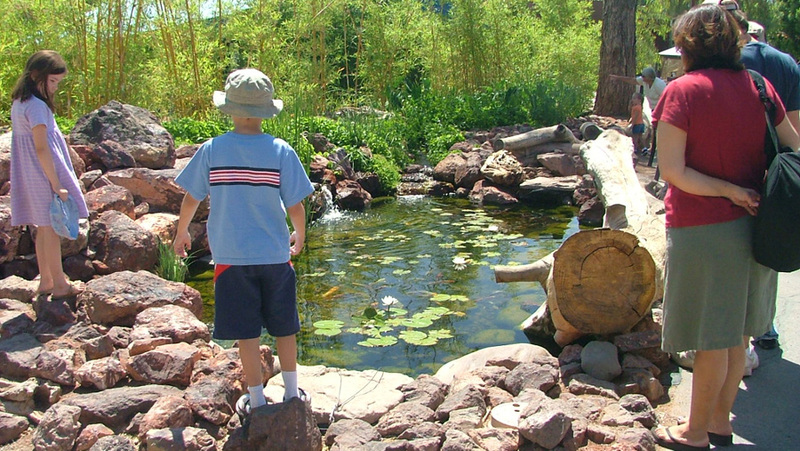 This forward-thinking museum added this feature, which ​teaches and engages Children and Adults about water in our environment and how it impacts our daily lives​. The large entry feature welcoming their guests. The Pond Gnome participated in this build, along with colleagues from around the world. The Pond Gnome carries a $2 Million liability policy, as well as all the necessary qualifications to provide you with professional design, construction, and maintenance. 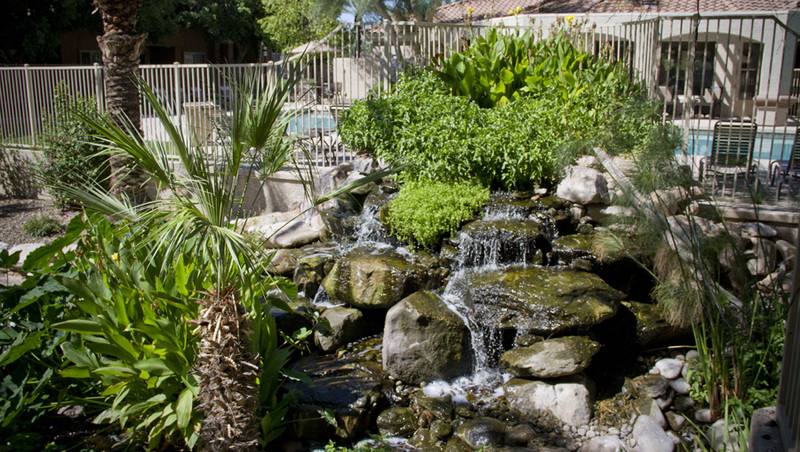 Let us know how we can be of service to you!